Saving for the future is difficult, especially if you’re just now transferring from college to the real world. With the added load of student loans, it can be hard to find your footing. 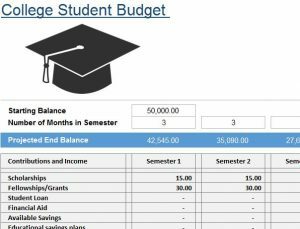 The Student Budget Template is the perfect tool for young adults to catch up in the world by helping them carefully analyze their debt and what you owe so you can quickly find the fastest route to paying it all off. 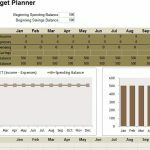 Along with the costs of school (for current students), the template also showcases common expense for your daily life as well. Learn more about this free fantastic tool by reading the guide below. Once you have properly downloaded the Student Budget file to your computer, begin by entering your school loan information at the top of the page. If you’re still enrolled in school, you can also enter your current balance and the number of months you have per semester. Now, go through the first section of the template and enter the items that apply to you, such as the amount you receive for scholarships, student loans, your available savings etc. Also, if you wish to add any new items into the Student Budget or replace an example, just click the cell you want to change and enter something new instead. Next, scroll down to the expenses section and do the same for this area as well. Try rounding up to the nearest dollar to get a better assessment of where you are at. 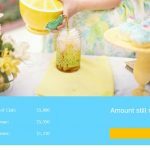 The template will take all the figures you’ve entered into the document and give you a final total at the bottom of the page. 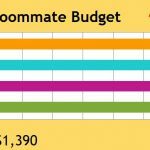 The template will monitor the amount you make versus the amount you spend to determine the amount you’ll owe by the end of college. You can then use that information to make an adjustment and try to save for the future.